Mini Pancakes, Butter, Syrup, Sprinkles & Candle + Birthday Girl Turning 6 = Best Birthday Breakfast Ever! Big Changes for 2013!! Introducing Everyday Grace. New Year, New Look, New Name, New Products! 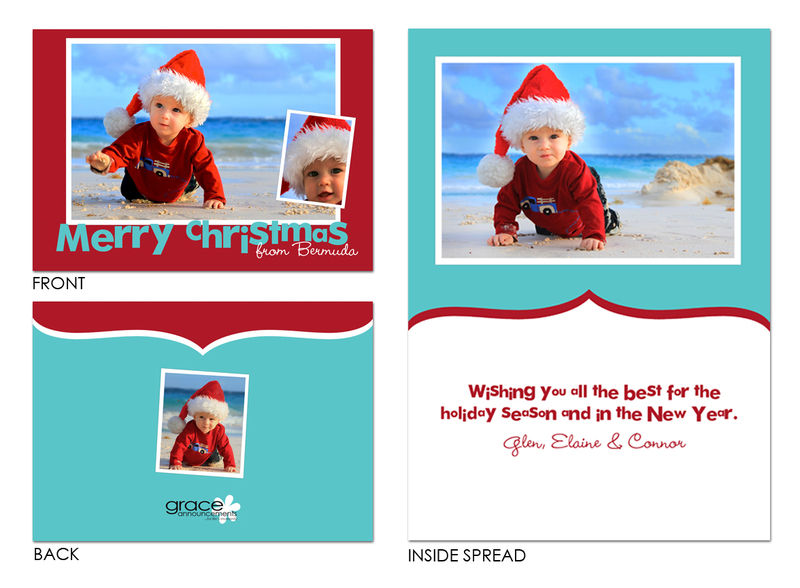 Grace Announcements has grown over the last 7 years beyond our highly sought-after birth announcement designs and changed to where it is today. Since the beginning I have added popular products like personalized wall art for kids, featured on the Steven & Chris show and personalized placemats, shown on Tori & Dean Home Sweet Hollywood, which were listed in the top 5 gifts under $25 on SavvyMom.ca. Having grown my name as a well known and trusted designer, this has inspired growth in other areas over time which has allowed me to expand the product lines that we all see and use everyday. The new name better reflects the company as a whole and celebrates not only life’s special moments but also beauty in the everyday. Of course the fundamentals that I have held strong and helped make this company into what it is today, will always stay the same. Our focus on unique designs, top notch customer service, and going above and beyond will never change. In the coming months we are pleased to be offering great new products that we know will excite our customers. The changes will be happening slowly over the next month. But don’t worry you will still be able contact me for the near future at www.graceannouncements.com and info@graceannouncements.com – I want to make it easy for you. We are all very excited and hope that you will be too! A couple of weeks ago I received an email about a local family that needed help. They were dealing with something that no one could imagine, being given only a couple of weeks left to live at the age of 33. Well this is the story for the McNeil family. Chris was diagnosed with Stage IV Esophageal Cancer Metastatic Adenocarcinoma since the cancer had spread to his lungs and lymph nodes in his stomach. Even though doctors gave Chris an estimated survival rate between 1 to 3 per cent, Chris refused to give up and he fought hard, not only for himself, but also for his wife and son. The family didn’t have mortgage insurance and this 2 year battle has left them in financial hardship. Chris comes from a very small family as he had already suffered the loss of his parents when he was in his 20’s and only has a sister and a half-brother. Karen’s family, their neighbours and friends stepped up to help them out financially as best as they could but it was a constant battle not just for Chris’ health but to make ends meet financially as one more bill constantly appeared. Before Chris was even diagnosed with cancer the family struggled financially as Karen had to quit her job as a hair dresser to stay at home with Trevor after he was diagnosed as having severe allergies. Trevor was allergic to almost everything… beef, pork, chicken, whole eggs, garlic, pears and this list goes on. Karen tried day care but most people didn’t want to deal with a child that was so allergic to almost everything. Karen had to stay home and started to do hair dressing from home. But when Chris got diagnosed with cancer the small business she had dwindled due to the time she had to spend travelling to and from hospital appointments and cancer treatments for Chris. The worst part is the McNeils didn’t have mortgage insurance. Amazing community members took it upon themselves to make a difference to help this family. A Facebook Page was set up to help raise funds. So many wonderful messages were left as local residents and businesses rallied to help. News came that Chris had lost his courageous battle and passed away on November 20th at 4:15 am. Support for Karen and their 4 year old son Trevor poured in, with people leaving wonderful messages of inspiration and condolences. All the while these amazing supporters continued on in organizing an online auction. This auction will run on the Facebook Page from November 24th to 28th to help Karen and Trevor stay in their home. We feel strongly about this story and hope that you will help pay it forward too. Grace Announcements has donated 3 packages up for bid at the auction and we really hope that with your support that we can bid the numbers up on these and the other packages to help ease the burden for this family, especially at this time of year. I and everyone else appreciate your support. You can also visit their website directly, donate and share their story. My kids love to colour. They take after their daddy who is an amazing artist and the illustrator of many items on our website. I get asked daily to design and print off things that they can colour so yesterday I did up these Valentine’s cards that they can colour themselves. Download and print them for your kids too! It is great to have a stack of business cards from all of the great people you met at the latest conference but what do you do with them now? Make any notes on them of important things you want to remember (if you didn’t do it at the event) and it is best to contact anyone you want to create a further connection within a couple of days while everything is still fresh in your and their mind. Timing is key. You don’t want to email about a conversation with someone you met 6 months prior because most likely they won’t remember. If you want something a little different you might want to take a look at this business card file box, made with vintage record album covers available from FreestyleGifts on Etsy. I think this would look great on my desk! For all of you iPhone users you need to check out the business card scanning app CardMunch. You capture an image of a business card with your phone and real people scan it and it automatically scans it for all of the information to be added to your contact list. It also connects withLinkedIn in just one tap. As many of you are aware the Canadian Union of Postal Workers are doing rotating strikes. This allows us to keep our regular shipping rates. Orders might take an extra day or two to arrive to you so if you are in an extreme rush please let us know so we can work out other shipping options. • All Canadian orders will have the option of the $8 standard shipping option or upgrading to the $12 express shipping like before the strike. • If you live in the Greater Toronto Area, you are welcome to pick up your order from the Grace Announcements studio which is located in Newmarket, and save the shipping charge altogether. As usual you will receive a shipping notice once your item has shipped. We will update again if there are any changes to the strike. If you have any questions or concerns, feel free to contact me. Yesterday, the Canadian Union of Postal Workers informed Canada Post that they intend to begin strike activities at 11:59 pm on Thursday, June 2, 2011. We are not happy about this decision, and have been forced to make a few changes to our shipping practices until the strike is over. • All orders will be shipped using FedEx, UPS or Canpar. The $8 standard shipping option has been removed for this time and all shipments will cost the $12 express. As usual you will receive a shipping notice once your item has shipped. If you have any questions or concerns, feel free to contact me. I do pride myself on making delicious, home cooked meals. I take supper time seriously. It is family time. A time to eat together and chat about the day’s comings and goings. But recently my little foray into family time has taken a dive. The kids simply won’t eat and won’t sit still. We have tried everything – multiple main courses, pasta or rice at each dinner, separating the kids, bribery. You name it, it has failed. The kids refuse to eat. I know I have a choice. Fight them and try to make them eat, or accept their antics and hope for the best. I have chosen the latter. And so for now, I will continue to cook. Continue to hope. And just keep trying to preserve the sanctity of dinner time. 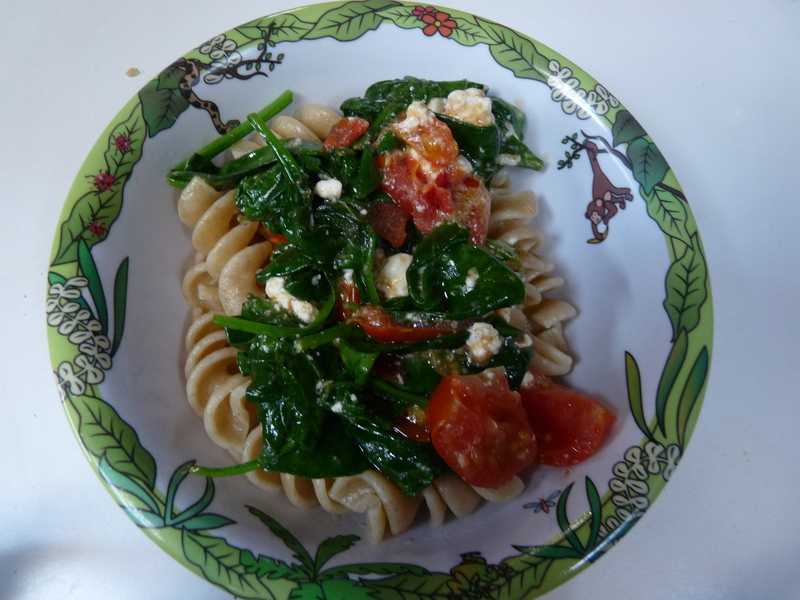 Here is one recipe I can actually get the kids to eat – especially if they can pick the vegetables from our garden. So glad spring is here and my garden is coming alive. Cook pasta until the way you like it. In the meantime, saute up some garlic in olive oil. Add tomatoes and spinach and cook for a few minutes. Add feta cheese and let it melt into the vegetables (I usually cook for a minute, then turn off the heat and let it melt from the heat of the pan. I have added cooked shrimp and leftover chicken and salmon to this recipe. I have also seasoned it with fresh basil, cilantro and oregano. The kids love it. Especially when the pick the vegetables from our garden. 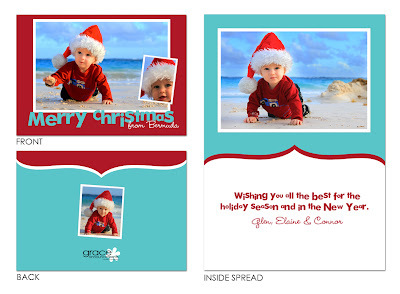 Love, love, love this folded holiday card design that we just sent for printing. Makes me wish I was living on some tropical island somewhere. The photos of the little guy really do help make this design. The folded note card is always a beautiful card and can be used for any occasion, we have done many that we will share in the future so you can see how amazing they are. I love to not only receive holiday cards every year but I also love to come up with fabulous ways to display them. After seeing this image posted on Twitter I decided that I wanted to share some of my favourite ways to show off your holiday cards. I would really like to get this, would work great in the Grace Announcements studio too! I have done this simple string technique in past years, works well for folded cards. You can see the instructions on how they did it. Do you have a favourite way to display your cards? Please share as we are always looking for new ideas!